As early as 1848, Bridgeport had not yet received its current name and was known as Jonesville, named after Charles Smithson Jones, the area’s most affluent landowner. 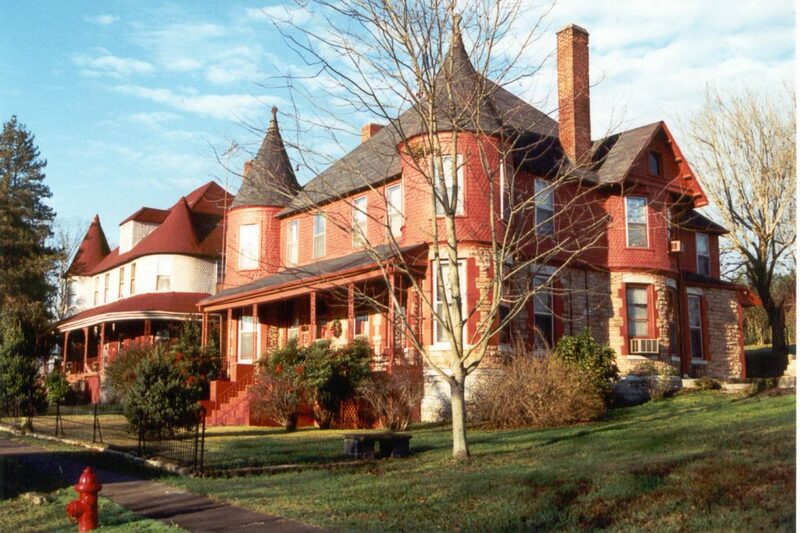 Jonesville was established and settled comfortably on the banks of the Tennessee River, but the arrival of the Nashville & Chattanooga Railroad in 1952 changed the settlement forever. 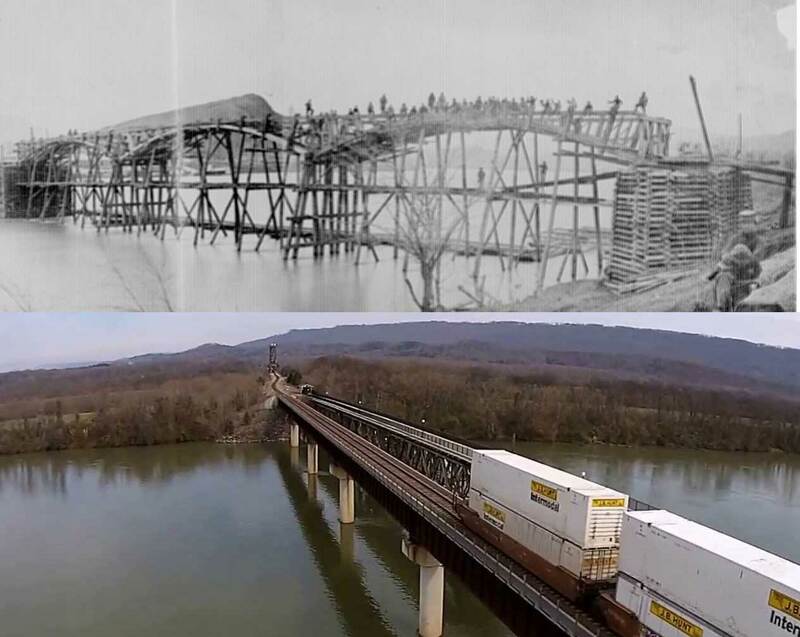 Two years later, the railroad construction bridged the Tennessee River and Long Island and on January 14, 1854, the first rain made its crossing. Image courtesy of South Pittsburg Historic Preservation Society, Inc.
Just a few years earlier, a river port had been established, this now combined with the new bridge and led to the renaming of the settlement to Bridgeport. The newly named town gained its first post office in December of 1854 and the continued traffic through the community led to rapid growth. As the community expanded, a general mercantile store was built on the river banks, along with other retail establishments. In 1860, construction of the Jasper Branch Railroad began to connect Bridgeport with Jasper, 15 miles to the northeast in Tennessee. The line’s construction got off to a good start but was delayed by the civil war and not completed until later. It was this war, with its divide between the northern and southern states that brought conflict to Bridgeport in 1862. In April of that year, General Ormsby M. Mitchell led his Union troops to attack the Confederate troops commanded by General Danville Leadbetter, as they camped on Bridgeport’s hill, overlooking the bridge and river. The battle which followed resulted in the death of a number of men from both sides. In the first years of the war, Bridgeport was captured and recaptured a number of times by the opposing factions. During the summer months of 1863, General Braxton Bragg and his confederate troops torched the town, burning part of the long truss bridge as they withdrew from middle Tennessee to Chattanooga. Soon after, Bridgeport was occupied by the Union forces led by Union General Ormsby Mitchell. They would hold the town for the rest of the war. At that time, Bridgeport became the location of a Union field hospital and military cemetery. The later years of the war saw Bridgeport’s bridge burn yet again along with the bridges that were being rebuilt by the Union army between Nashville and Chattanooga. 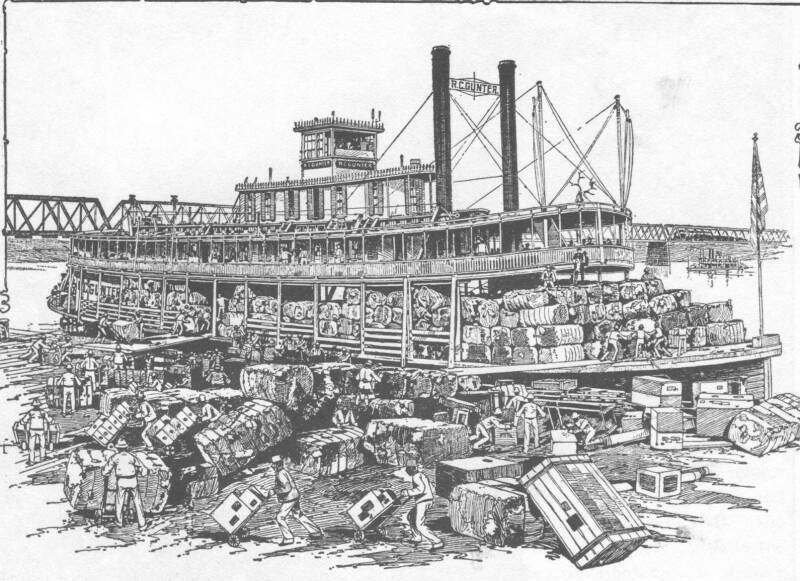 Because of it’s location on the railroad and Tennessee River, Bridgeport quickly became a convenient supply base for General William T. Sherman and his Union Army’s Atlanta Campaign. The town was still occupied by the Union Army long after the war had ended as reconstruction began. Bridgeport underwent redevelopment in the 1890s thanks to Frank Kilpatrick, an investor from New York, who bought up a considerable amount of real estate. Sadly, during the Panic of 1893 – a serious economic depression that hit the whole of the United States – many investor simply abandoned their construction projects and the regeneration halted. Above Ryan Nelson uses his quadcopter to get some awesome shots of modern day Bridgeport. These days Bridgeport is a thriving town with a population of around 2,700. Steps are currently being taken to renovate the historic downtown area with its rows of beautiful mansion homes that have seen some neglect in recent decades. As the turn-of-the-century building are resorted, retail services are returning to Bridgeport’s High Street, and business is starting to boom. The workforce in the Bridgeport area is comprised of the following occupations: manufacturing, education, retail logistics, construction, arts and entertainment, waste management, finance and real estate, and agriculture. Businesses contributing to the economy of the area today include a wood and coal heater manufacturer, a metals alloy manufacturer, a producer of biodiesel fuels, and a carpet manufacturer. 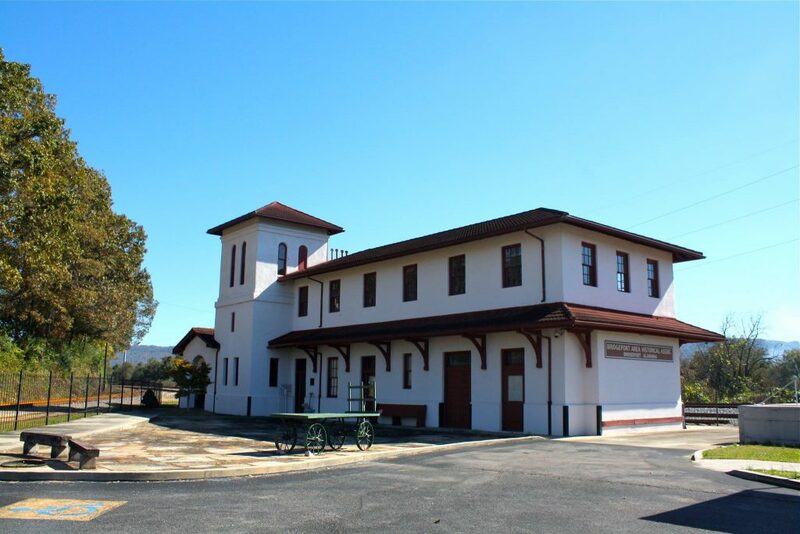 Visitors can enjoy spending time at the Bridgeport Railroad Depot Museum, where they can see the current depot constructed in 1917 to replace the first depot destroyed in 1863 by the Confederate forces commanded by Gen. Braxton Bragg. The museum is home to a large collection of Civil War artifacts. The Bridgeport Train Depot Museum. Image courtesy of Bridgeport Train Depot Museum‘s Facebook page. Another place of interest in Bridgeport is the Russell Cave National Monument. This is a site of archeological interest dating back to the lifestyles of early Native American inhabitants from 10,000 B.C. to 1650 A.D. 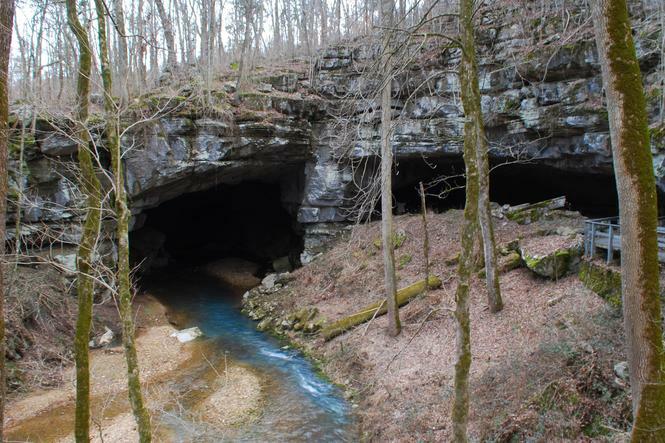 When a section of Russel Cave’s entrance collapsed thousands of years ago, these prehistoric peoples made it their home. As well as the cave and surrounding park, there, visitors can see the annual Wings to Soar birds of prey program and sample Yarborough’s Educational Reptile Program. 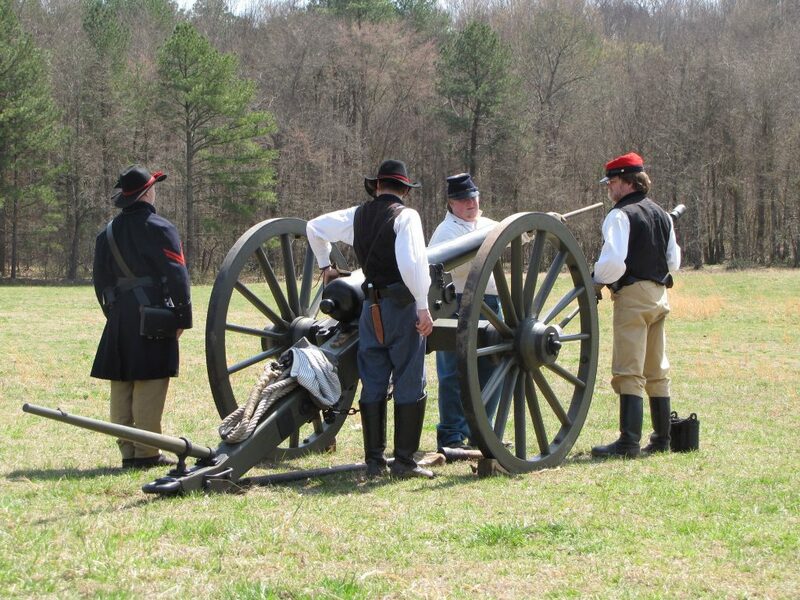 Each March visitors can see a re-enactment of the pivotal 1862 Civil War battle the Siege of Bridgeport, in which Union troops under the command of Gen. Ormsby Mitchel defeated Confederate Brig. 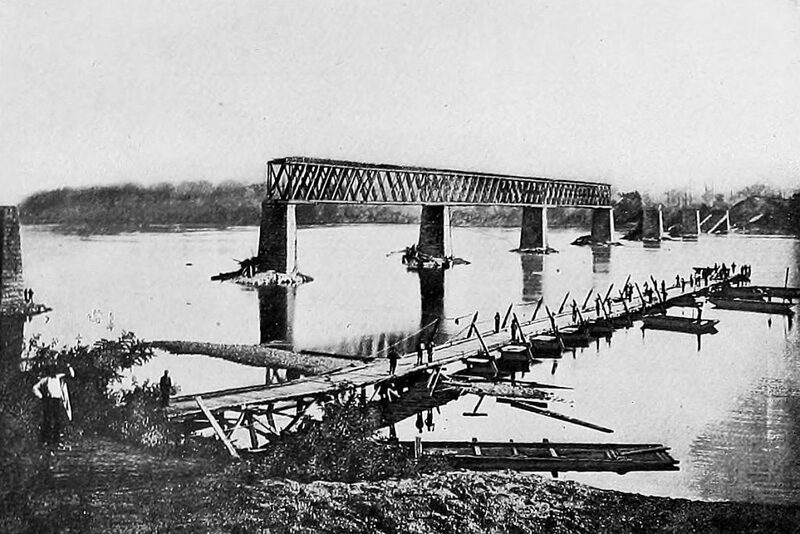 General Danville Leadbetter’s men and took control of the railroad bridge. Image courtesy of the Siege at Bridgeport Civil War Re-Enactment. Among the thriving local business in Bridgeport is All Seasons Heating and Cooling who have been providing HVAC parts, products and services since 1978. Their team of experts knows exactly how to keep your HVAC system running at its best. If you’re having problems with your comfort system, they’re just a call away and will be right there to get things in order. If it’s time for your annual service, their team will know just when to come, in fact they can remind you if you forget. When you want to replace your old system for something more up-to-date and economical, they guarantee you 100% satisfaction. You can count on All Seasons Heating and Air Conditioning year round. At All Seasons we have the best trained team in the business. That means we can provide you with longer lasting equipment so you’ll have fewer repair calls. Call us today at 1-800-265-3247 and tell us how we make your home more confortable.